The Bank of Montreal beat expectations with a first-quarter profit of $1.5 billion, up from $973 million during the same period a year earlier. The profit amounted to $2.28 per share for the three-months ended Jan. 31, up from $1.43 per share during the same period a year earlier when it recorded a one-time charge of $425 million related to U.S. tax changes. On an adjusted basis, the profit amounted to $1.54 billion for the quarter or $2.32 per diluted share, compared with $1.42 billion or $2.12 during the same period a year earlier. Analysts had expected a profit of $2.23 per share, according to those surveyed by Thomson Reuters Eikon. While Canada's fourth-largest lender saw strong results from its U.S. personal and commercial banking division and relatively flat earnings from its domestic retail banking arm, BMO saw a drop in profit from its wealth management and capital markets divisions amid "weaker global market conditions." 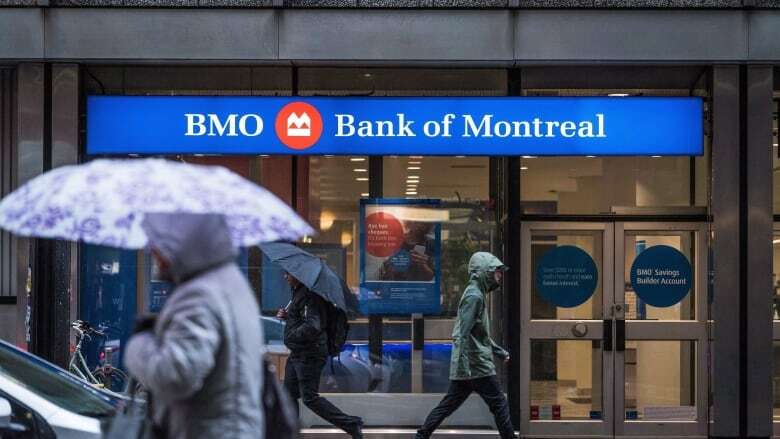 BMO chief executive Darryl White says the bank's North American personal and commercial banking businesses performed "very well" while its market-sensitive businesses were impacted by the "challenging revenue environment" earlier in the quarter. "BMO's good performance this quarter reflects the benefits of our diversified and attractive business mix which continues to deliver sustainable growth, with adjusted earnings per share up 10 per cent from last year," White said in a statement. "We are well-positioned to build on our performance through the year."